Celebrating the 20th Anniversary of iconic rock band Pearl Jam's debut album Ten, VANS Classics is releasing a pack of Sk8-His inspired by the band's history. Celebrating the 20th Anniversary of iconic rock band Pearl Jam's debut album Ten, VANS Classics is releasing a pack of Sk8-His inspired by the band's history. 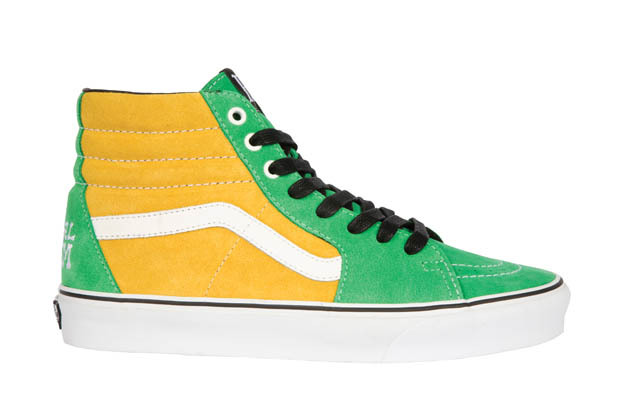 First up is a pair in green and yellow, which represents Vedder and the boys' eccentric style and anti-commercial appeal. 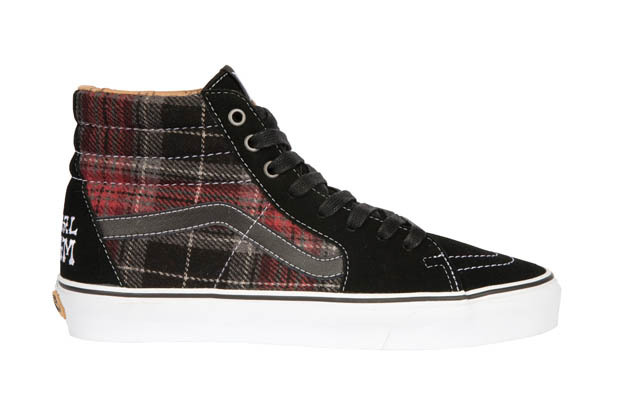 The second sports a blanketed plaid look, symbolic of grunge-era rock bands. Both shoes feature suede-based builds, Peal Jam logo embroidery on the heels and white vulcanized soles. Look for the Pearl Jam x VANS Classics Sk8-Hi Pack at select VANS retailers today.